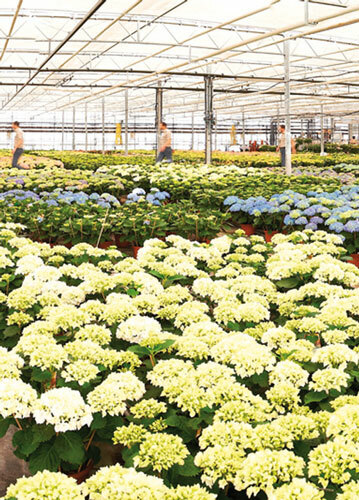 A European leader in hydrangeas (80% exports) SICAMUS produces 2 million hydrangeas each year over 70 acres of production. 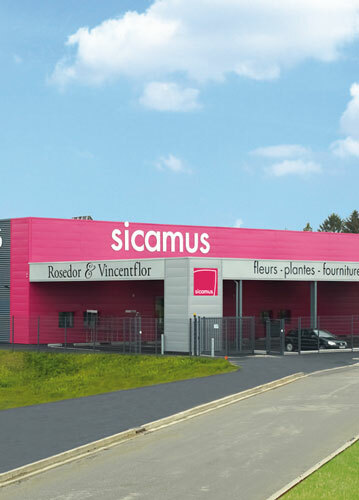 As the biggest French distributor of plants, floral compositions for florists and decorating, Sicamus offers services close to you over more than 25,000 sq meters and 4 stores : Angers, Nantes, Bordeaux, Le Mans. For over 70 years, the Sicamus Group has pursued steady well-menaged growth. The SICAMUS Group was created. The very first self-service plant site for professionals was created and named : Cash Anjou in Angers. A second store for professionals was opened in Nantes. A third Cash&Carry opens in Bordeaux. The R&D department is created in the company. Another Cash&Carry is opened in Le Mans. The online store is opened.